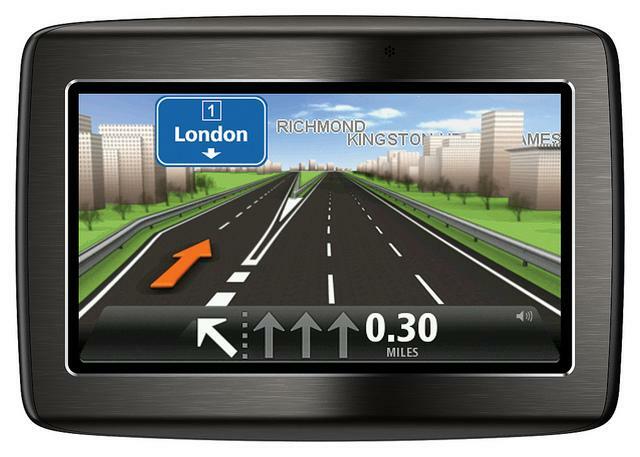 TomTom’s “leap year bug” causes problems: will getting cozy with car makers help save the industry? Update: TomTom has offered a fix here. Satellite navigation specialists TomTom have blamed a “leap year bug” for the problems being experienced by a number of its GPS unit users. The bug began to appear on 31 March, when affected units displayed nothing more than a blank screen, and a message saying a connection with GPS satellites couldn’t be established. Posts made on TomTom’s support forums showed complaints from all around the world, with users in the UK, Australia, Italy and North America all describing similar symptoms from their broken gadgets. Since then, TomTom has issued a fix for the bug (a poor relation to the “millennium bug,” perhaps) and said that “third-party” software used in the GPS receiver was to blame. It won’t help anyone without access to a computer though, as it requires the GPS unit to be synced with MyTomTom so new firmware can be installed. TomTom lists the Start 20/25, Via 120/125, Via Live 120/125, Go Live 820/825 and the Go Live 1000/1005/1005 World as the models it’s aware need updating. Although not so widespread to affect sales, TomTom’s “leap year bug” and the surrounding publicity comes after a difficult end to 2011, and it certainly won’t endear the company to those looking to buy a new, standalone, personal navigation device. During the final three months of last year, TomTom reported a $16 million drop in net profits over 2010, and a 40-percent reduction in sales. This resulted in a 31-percent drop in revenue, and forced the company to cut its workforce by 10-percent in December. These job cuts, along with other cost-saving incentives, are expected to save TomTom in the region of $50 million this year, which could prove essential in the fight against its competitors. GPS unit manufacturers have been forced to compete with the onslaught of free software solutions and GPS-enabled smartphones for several years. Initially, the user experience of turn-by-turn navigation on a phone wasn’t as good as a standalone unit, but as technology has moved on — and screens increased in size — that has changed. The market leader in North America, Garmin, tried to beat the smartphone manufacturers at their own game with the Nuvifone, an oft-delayed and ultimately failed GPS/phone hybrid. But, the old adage “if you can’t beat ‘em, join ‘em” soon came into effect and several companies, including TomTom, introduced GPS applications for smartphone platforms instead. However, while these apps ease the pain caused by the smartphone market, portable navigation device manufacturers are ensuring their survival by forming partnerships with automotive companies. This week Garmin has announced it will be supplying factory-installed “infotainment” systems to Suzuki. The units will provide GPS navigation along with smartphone integration, iPod compatibility, Bluetooth, voice control and even video for the reversing camera. 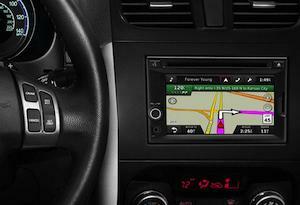 Garmin also supplies Toyota, BMW, Honda and Chrysler with navigation software and devices. TomTom has also been hard at work establishing similar partnerships, including Ford and General Motors, to whom it provides mapping software, and Europe’s Opel, where it supplies complete navigation systems. As sales of standalone units continue to slow, forming meaningful automotive, marine and aeronautical partnerships looks to be essential for makers of such devices to not only preserve their share of the market, but perhaps even their survival too.